Marion Mathias "Barney" HALE [Parents] was born on 12 Jul 1905 in Grandview, Johnson, Texas. He died on 25 Aug 2005 in Brownsville, Cameron, Texas. Marion married Mary Louise RICE. Mary Louise RICE [Parents] was born on 23 Feb 1912 in Jones Prairie, Milam, Texas. She died on 16 Feb 1974 in Brownsville, Cameron, Texas. She was buried in Feb 1974 in Buena Vista Cemetery, Cameron, Texas. Mary married Marion Mathias "Barney" HALE. F i Mary Jane HALE. M ii Michael Rice "Mike" HALE. Otis Elbert HALE was born on 18 Nov 1878 in Grandview, Johnson, Texas. He died on 14 Aug 1966 in Grandview, Johnson, Texas. He was buried in Grandview Cemetery, Grandview, Johnson, Texas. Otis married Lula Myrtle HARRELL. Lula Myrtle HARRELL was born on 11 Jan 1886 in Grandview, Johnson, Texas. She died on 12 Nov 1956 in Grandview, Johnson, Texas. She was buried in Grandview Cemetery, Grandview, Johnson, Texas. Lula married Otis Elbert HALE. M i Marion Mathias "Barney" HALE was born on 12 Jul 1905. He died on 25 Aug 2005. 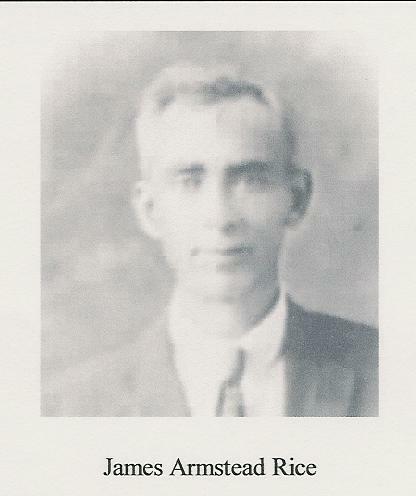 James Armstead RICE "Jr" [Parents] was born on 22 Jan 1915 in Jones Prairie, Milam, Texas. He died on 16 Dec 1982 in Elmira Heights, Chemung, New York. James married Marguerite ROSS. Marguerite ROSS was born about 1925. Marguerite married James Armstead RICE "Jr". James Armstead RICE "Jr" [Parents] was born on 22 Jan 1915 in Jones Prairie, Milam, Texas. He died on 16 Dec 1982 in Elmira Heights, Chemung, New York. James married Nettie Marie SHAW on 16 Dec 1973 in , Travis, Texas. Nettie Marie SHAW [Parents] was born on 4 Jan 1913 in South Waverly, Bradford, Pennsylvania. She died on 31 May 2002 in Montour Falls, Schuyler, New York. She was buried in Woodlawn Cemetery, Elmira, Chemung, New York. Nettie married James Armstead RICE "Jr" on 16 Dec 1973 in , Travis, Texas. James Armstead RICE "Jr" [Parents] was born on 22 Jan 1915 in Jones Prairie, Milam, Texas. He died on 16 Dec 1982 in Elmira Heights, Chemung, New York. James married Georgianna MASTERS. The marriage ended in divorce. Georgianna MASTERS was born on 21 Nov 1918 in Comanche, Comanche, Texas. She died on 22 May 1977. Georgianna married James Armstead RICE "Jr". The marriage ended in divorce. M i Sam Harrell RICE was born on 5 Jun 1951. He died in Apr 2001. 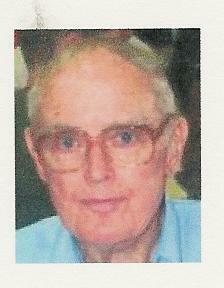 James Luther WALKER [Parents] was born on 14 Apr 1917 in Smyrna Community, Milam, Texas. He died on 22 Nov 2001 in Temple, Bell, Texas. He was buried in Milano Cemetery, Milano, Milam, Texas. James married Florence Joy RICE on 26 Dec 1947 in Brownwood, Brown, Texas. Florence Joy RICE [Parents] was born on 2 Nov 1917 in Jones Prairie, Milam, Texas. She died on 22 Oct 1990 in Rockdale, Milam, Texas. She was buried on 24 Oct 1990 in Milano Cemetery, Milam, Texas. Florence married James Luther WALKER on 26 Dec 1947 in Brownwood, Brown, Texas. M i James David WALKER. M ii Stephen Wyatt "Steve" WALKER. Jim FISHER. Jim married Madelyn Elise LOWERY on 30 Nov 1968 in Atmore, Escambia, Alabama. Madelyn Elise LOWERY [Parents] was born on 7 Oct 1948 in Jackson, Clarke, Alabama. Madelyn married Jim FISHER on 30 Nov 1968 in Atmore, Escambia, Alabama. Harrell Benge RICE [Parents] was born on 7 Mar 1927 in El Paso, El Paso, Texas. He died on 5 Jun 2013 in El Paso, El Paso, Texas. Harrell married Betty Joe "Doe" JENKINS on 28 Dec 1948 in Brownwood, Brown, Texas. 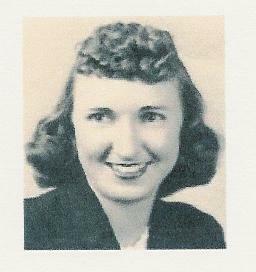 Betty Joe "Doe" JENKINS [Parents] was born on 18 Jul 1927 in Bluffdale, Erath, Texas. She died on 16 May 1988 in San Angelo, Tom Green, Texas. She was buried in Eastlawn Cemetery, Brown, Texas. Betty married Harrell Benge RICE on 28 Dec 1948 in Brownwood, Brown, Texas. M i Rell Benge RICE was born on 4 Apr 1956. Harrell Benge RICE [Parents] was born on 7 Mar 1927 in El Paso, El Paso, Texas. He died on 5 Jun 2013 in El Paso, El Paso, Texas. Harrell married Louise. Louise. Louise married Harrell Benge RICE. Billy Joe "Bill" POWELL [Parents] was born on 4 Jul 1928 in Brownwood, Brown, Texas. He died on 25 Oct 1982 in Dallas, Dallas, Texas. He was buried in Brownwood, Brown, Texas. Billy married Jacquelyn RICE on 16 Sep 1947. 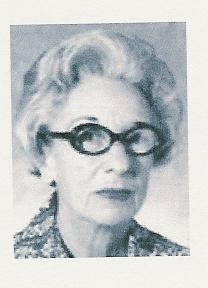 Jacquelyn RICE [Parents] was born about 1929. Jacquelyn married Billy Joe "Bill" POWELL on 16 Sep 1947. M i Paul William POWELL. F ii Marilyn Sue POWELL. M iii Timothy Lee "Tim" POWELL.